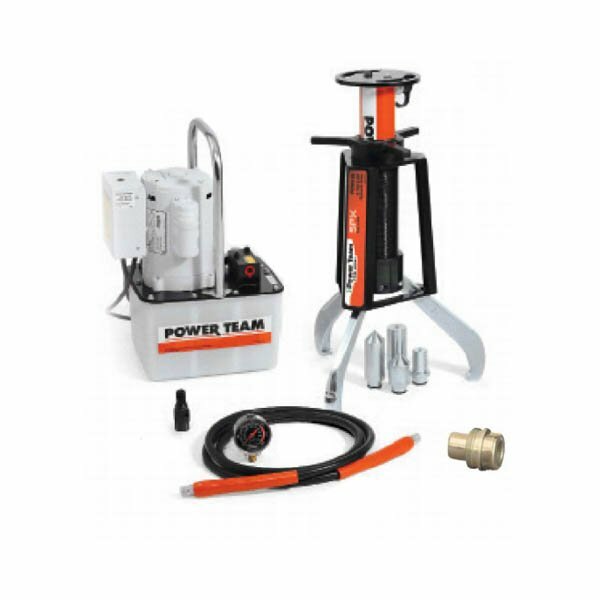 SPX Power Team offers a comprehensive line of pullers, including the Posi-Lock gear puller and Posi-Lock bearing puller. These high-quality manual and hydraulic pullers have set the standard for their safety, convenience and ease of use. The T-handle and safety cage control the jaws, so the opening, closing and locking of the jaws is all done automatically with a turn of the T-handle. 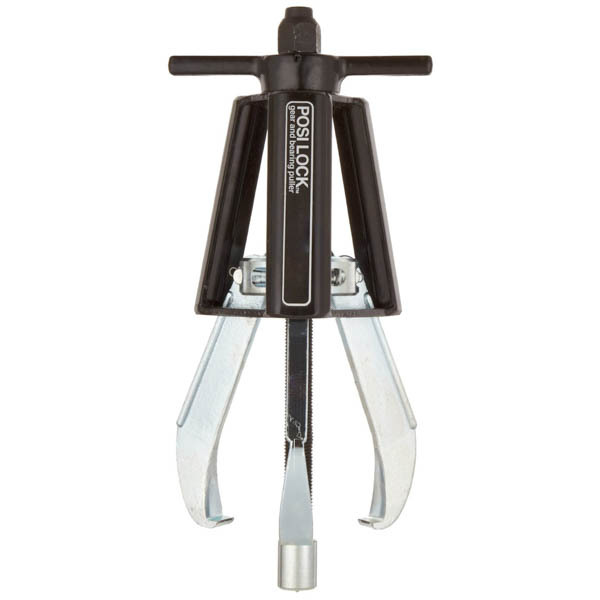 Also, the slim, tapered jaws allow for easier gripping and better access to tight spots. Available in a two or three-jaw puller configuration and with capacity ranging from 1-40 ton (for a mechanical puller) and 5-200 ton (for a hydraulic puller), we stock a wide range of Posi-Lock puller sets. 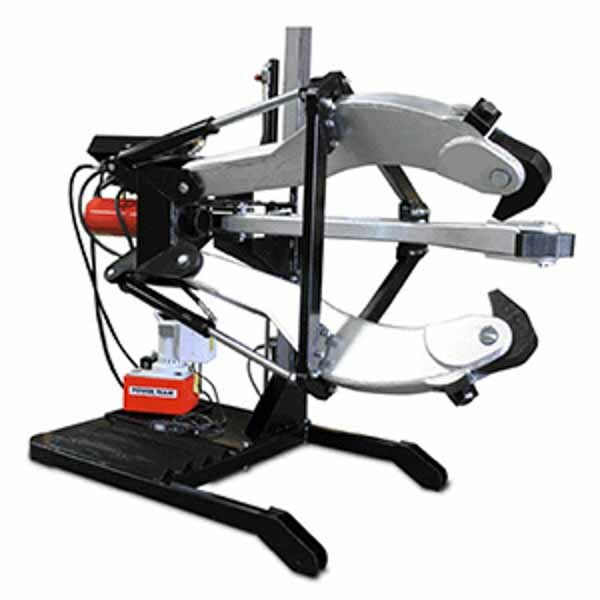 Power Team offers a comprehensive line of Posi Lock® Pullers, powered manually or by hydraulics. 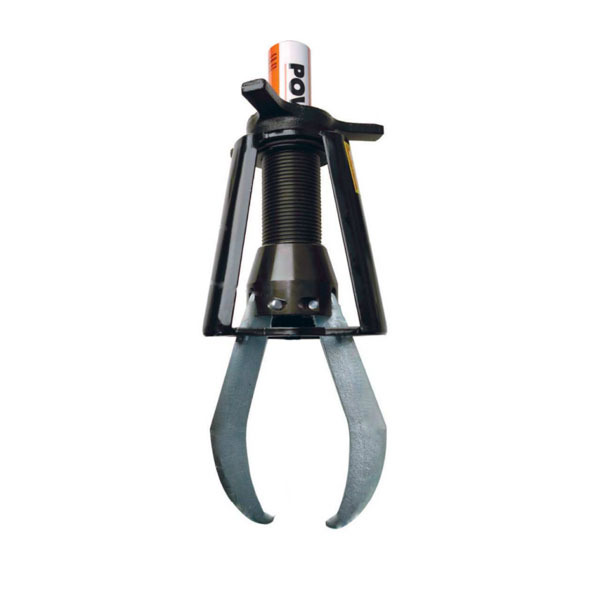 These pullers are available in a two or three-jaw puller configuration. Mechanical pullers range from 1-40 ton capacity and hydraulic pullers range from 5-200 ton capacity. The reach is measured by the distance between the bottom of the cage and the jaws, which must be equal or greater to the size of the part to be pulled. What distance of spread is required? The spread is determined by the width of the part being pulled and the distance should be greater than the width of the part. What force will be needed? A puller with the proper reach and spread should have enough capacity to remove the part. If in doubt, use a puller with a larger capacity than what may be needed. What type of puller will I need? The Posi-Lock bearing puller is designed to remove bearing sets from a rotating machine shaft and the Posi-Lock gear puller removes gears from their shafts. We offer Posi-Lock puller sets containing all the accessories you’ll need, including a puller iron, lift plate, hydraulic cylinder, manual pump and adaptor. For any help or support on your Posi-Lock puller purchase, call our in-house experts today on 01332 576 850.